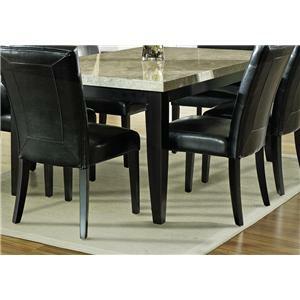 Charming and elegant designs are found within this dining table's simplicity. 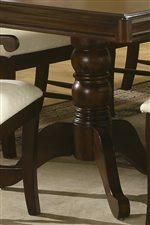 A double pedestal base features bold curves and carved detail, while the table edges are smooth and beveled. An 18 inch leaf extends the table to 88 inches, providing room for dinner guests. 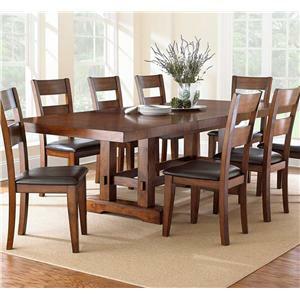 Gather equally attractive chairs around the table to establish an inviting and warm dining atmosphere. 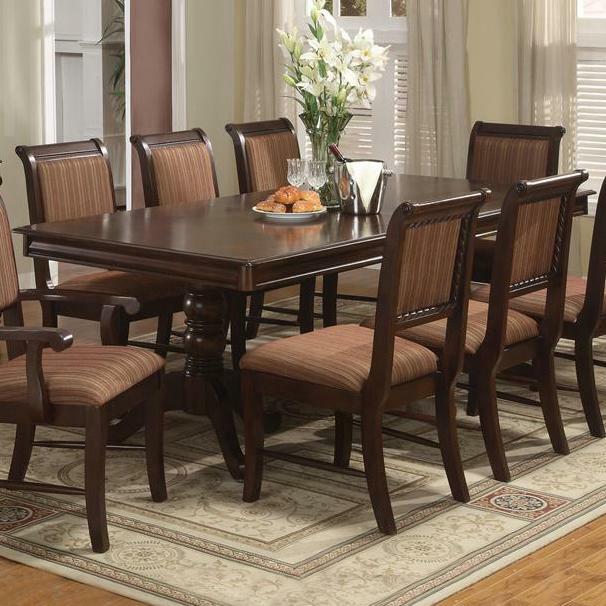 The Merlot Double Pedestal Dining Table with One 18 Inch Leaf by Crown Mark at Furniture Superstore - NM in the Albuquerque, Los Ranchos De Albuquerque, Rio Rancho, Santa Fe, Corrales, NM area. Product availability may vary. Contact us for the most current availability on this product. 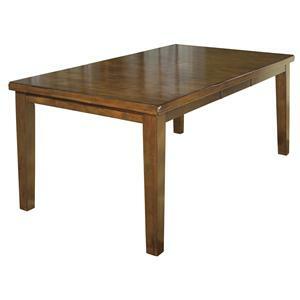 2145T-TOP Dining Table Top 1 30.5" 70" 42"
The Merlot collection is a great option if you are looking for Traditional furniture in the Albuquerque, Los Ranchos De Albuquerque, Rio Rancho, Santa Fe, Corrales, NM area. 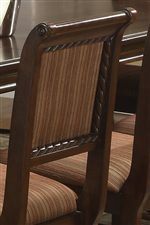 Browse other items in the Merlot collection from Furniture Superstore - NM in the Albuquerque, Los Ranchos De Albuquerque, Rio Rancho, Santa Fe, Corrales, NM area.